Anja Schneider releases her first album in nine years on new label Sous Music. Sometimes you need to step away from everything that's familiar to really grow and challenge yourself as an artist. The Berlin-based artist has never felt more out of her comfort zone. Or inspired. The musical manifestation of this bold new era is SoMe, a nine-track calling card that not only represents Schneider's own creative apex and its freedom. As is the case with all Schneider's productions, this is a deeply personal work. But what makes it shine above everything else that has come before it, is how expressive and free it is, while remaining entirely authentic to her own musical history, passions, and personal story. The project begun in November 2016, in Anja's basement to be precise. Getting back to her music digging roots she whiled away the hours among the dusty boxes of her vinyl collection -- re-immersing herself in old jungle and D&B records, classic house, and the Berlin-bred techno of the '90s that she fell in love with when she first moved to the German capital in 1993. Alongside her co-producer and partner Jan-Eric Scholz, she set studio dates turned into lost afternoons, then weekends. If Anja wasn't touring or spending time with her son, she was engrossed in free-flowing productions sessions, channeling musical impressions past and present, and recent trips to South Africa that cemented a love for ragga and crafting outstanding vocal works. SoMe begins with the dusty panoramic tones of "The Sun". Other highlights include the catchy ragga tones of "All I See", inspired by her trip to Cape Town for CTEMF in 2015 and exemplifies Schneider's knack for creating music that feels at once fresh, yet familiar. Elsewhere she flexes her song-crafting muscle linking up with the Stereo MCs after a chance meeting with vocalist Rob Birch. A big fan of the group's Connected album (1992), Schneider floated the idea of a vocal contribution to her fledgling album project and the irresistible earworm "Sanctuary" was born. 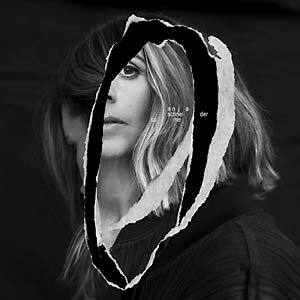 An artist with tried and true roots in techno, SoMe of course reflects an Anja Schneider DJ experience, with cuts such as "Got Me With A Bang" and even "Night Out", that mines the spirit of her own debut album Beyond The Valley (2008). And rounding out the album on a particularly personal note comes the ambient track "Shadows".